The Battlefield Bed and Breakfast is the dream venue for any couple looking for a historical property in Gettysburg, Pennsylvania. 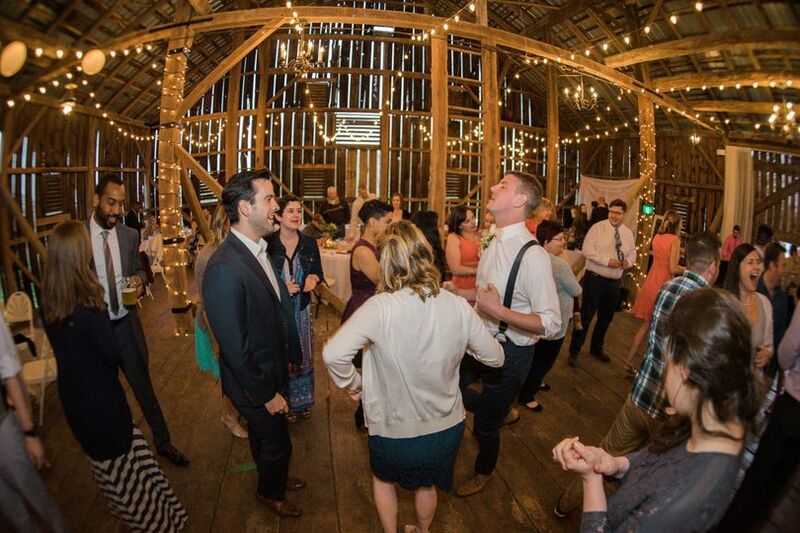 The Civil War-era barn and farmhouse sit on the Gettysburg Battlefield and allow for indoor or outdoor ceremonies and receptions. Couples may host up to 140 guests on the property. 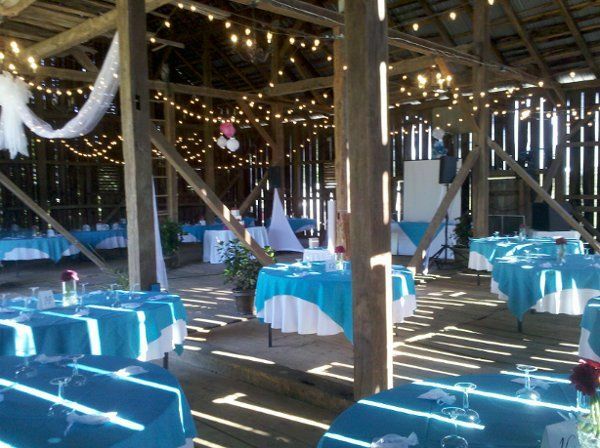 With three buildings and 30 acres, there is plenty of space to design a unique wedding event to include rental of one or all parts of the venue. 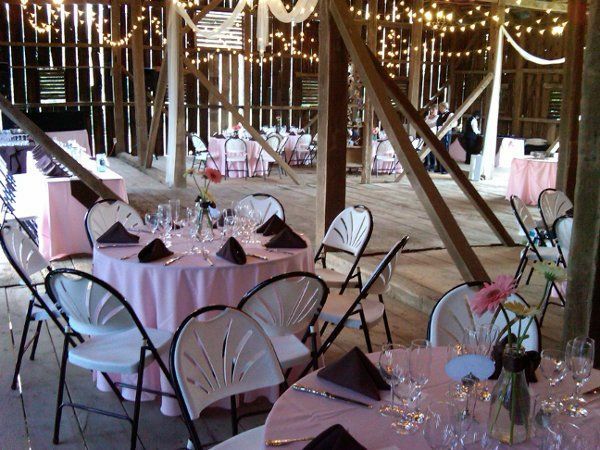 The 1820’s Civil War Barn accomodates up to 140 guests and houses a dressing room. It is available from May through October. 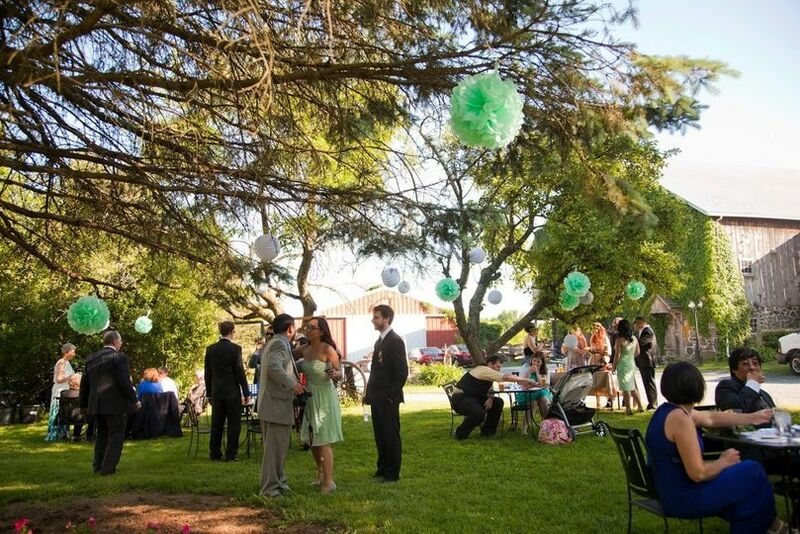 The lawns and gardens are perfect for outdoor ceremonies. The Solarium, which is available year round, features natural sunlight, a dramatic historic fireplace, catherdral ceiling, and chandeliers. It is perfect for a ceremony or reception and seats up to 80 guests. Accommodations at the Battlefield Bed and Breakfast include 10 guest rooms inside the Farmhouse, one in the Historic Barn, and a private cottage. Built in 1809, the farmhouse belonged to abolitionists Anna and Cornelius Houghtelin and was headquarters for General Merritt during the Civil War. The Solarium contains a fireplace designed by Victorian architect Frank Furness. Most historically, this property is known for being the site of General Merritt's encampment during the Battle of Gettysburg and is a privately owned part of the Gettysburg South Cavalry Battlefield. The property became a bed and breakfast in 1994. 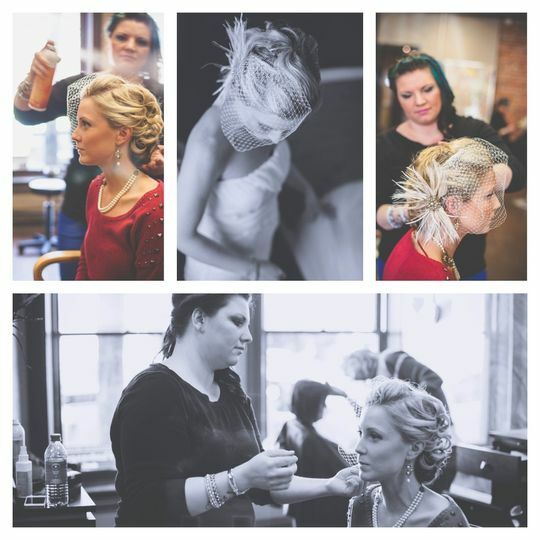 The owners have 25 years of experience with hospitality, events, and weddings. The Battlefield Bed and Breakfast is located on a 30 acre historic farm in Gettysburg, PA. We are one hour and 40 minutes from Washington, D.C. and one hour and 30 minutes from Baltimore, MD. 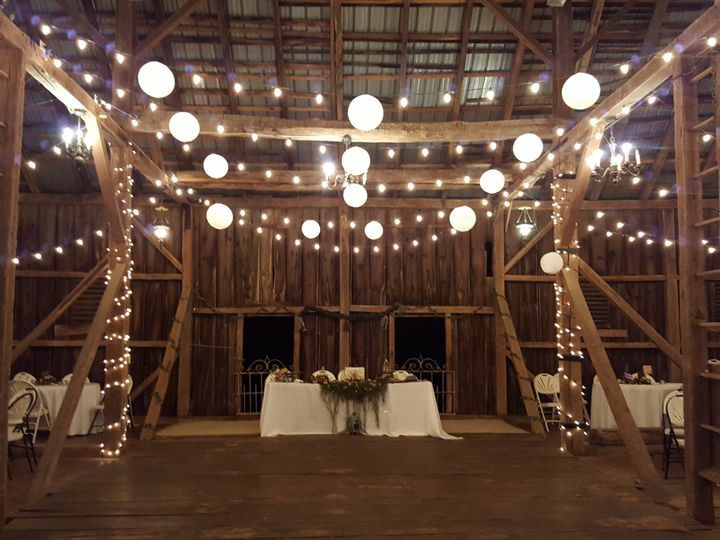 Civil War wedding in our historic Civil War barn. 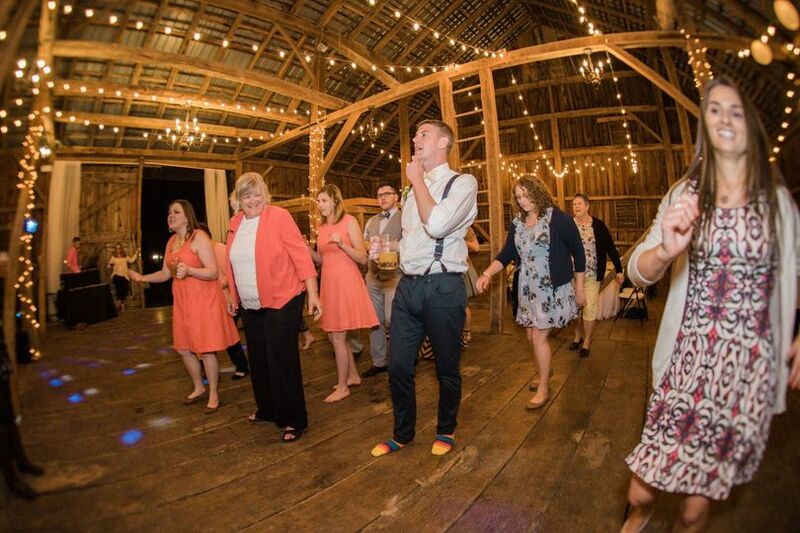 Dancing on the threshing floor in the 19th Century barn. 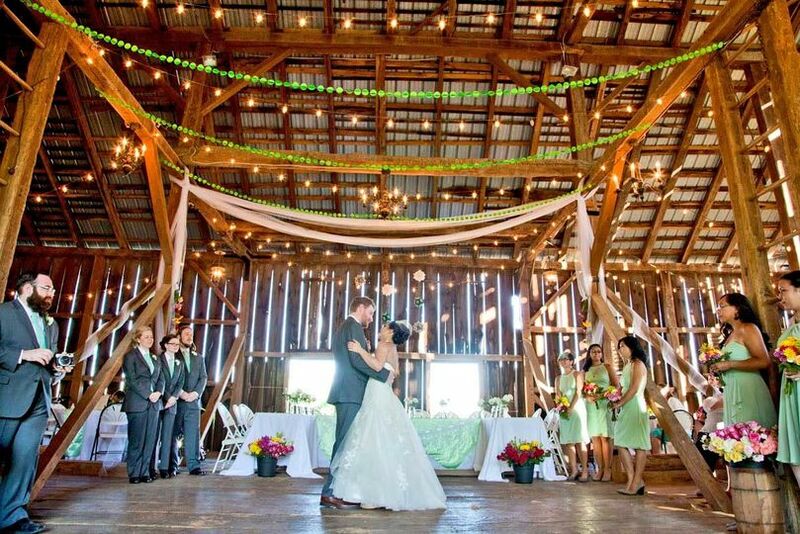 A Civil War wedding on the Gettysburg Battlefield in an historic Civil War barn. 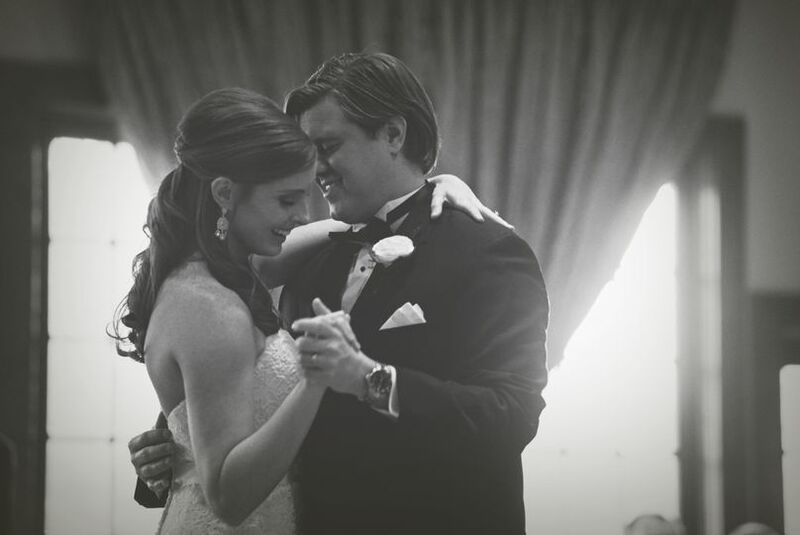 The beautiful airy space of the Solarium Venue invites formality and intimacy. Pets are welcome at your wedding! 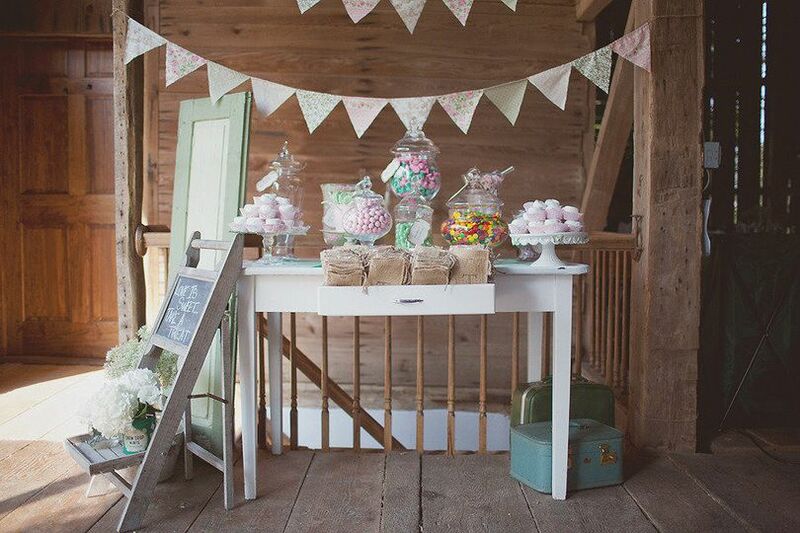 In our search for a wedding venue, we wanted a place to call home for the whole weekend. Our vision for the weekend was family coming together for the first time; from our first meeting with Debbie, we felt like we’d been adopted by the B&B staff!! The stunning solarium was perfect for our family-style Welcome Dinner (rehearsal) and cocktail hour, the gardens set the stage for our vows as we were surrounded by our beloved, and the barn was a warm backdrop to dinner and seventy people dancing. 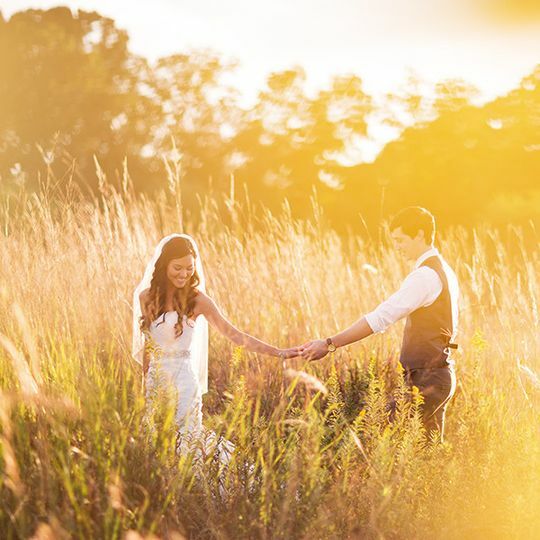 Our advice is to think through the setting that’s going to put you and your guests most at ease and to make sure you’re comfortable letting go of the execution to the staff; we also recommended not settling for anything less than personal attention, care, and flexibility from your venue. 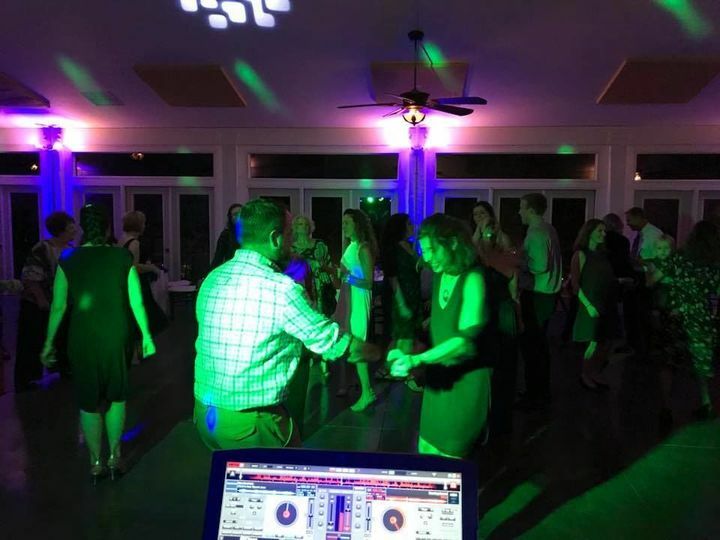 We had this throughout our planning process with the Battlefield B&B, and in particular from how well connected they are in the local business community—catering, the DJ, wine, beer, flowers, and cupcakes were all local and provided with extra care. 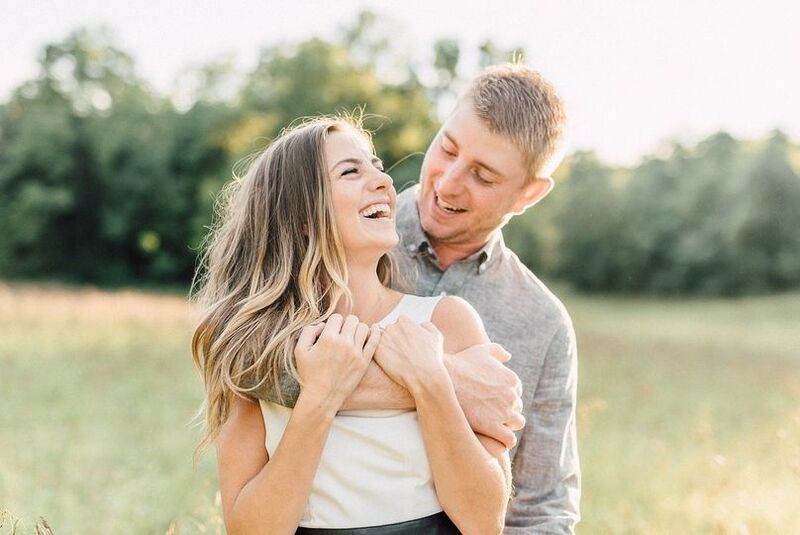 The home we found at the B&B gave us and our closest friends and family memories for a life time, and the staff was simply exceptional in taking care of our guests and helping us fulfill our vision. 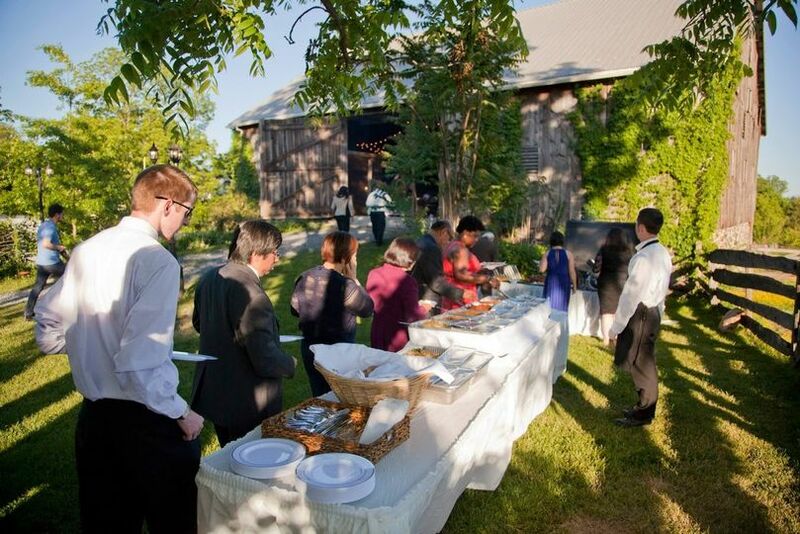 We found an inclusive, welcoming, and inspired wedding venue at Battlefield B&B—we hope you will too! I would highly recommend this venue!!! Beautiful setting and the staff was above and beyond helpful and attentive from set up to ceremony to reception to clean up. They made the weekend as stress free possible!!! Love this venue! 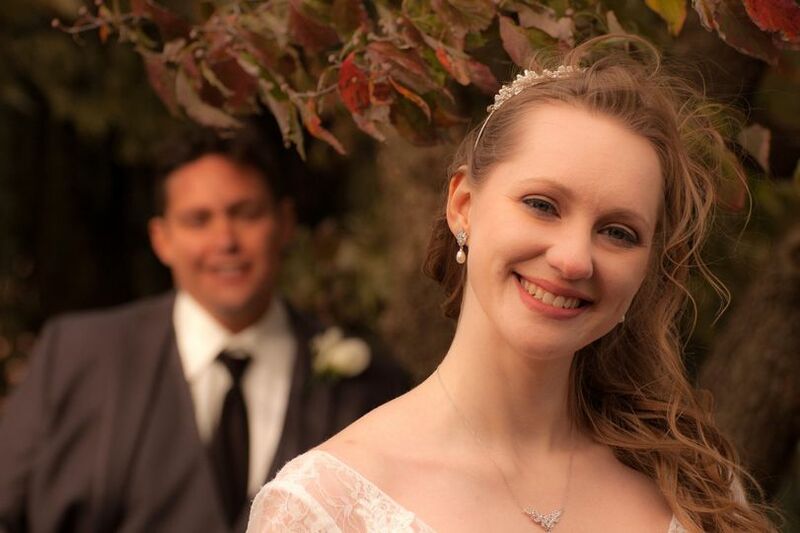 The barn was lovely and the property holds excellent photo opportunities.